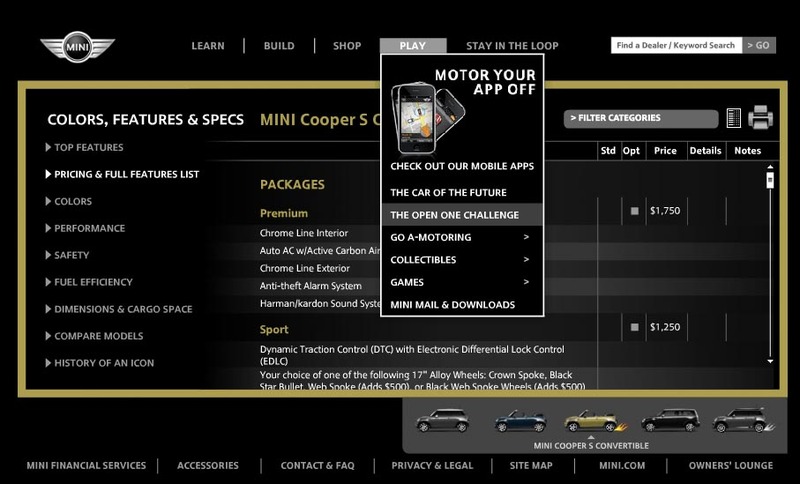 Mini wrapped up a contest early last February where owners of the second generation Mini Cooper convertible shared their recorded top-down driving miles through a web site called TheOpenOne.com. The winner ended up logging 555.5 miles. David Loveall’s Mini is his first car and will doing his traveling sales job he was able to win a trip for two to Oxford, England at the Mini factory. I originally caught this story in the latest issue of Roundel magazine. For those who don’t know, Roundel is the monthly magazine for the BMW Car Club of America (@BMWCCA on Twitter) that’s for BMW and Mini owners. They had a small blurb about the winner of the challenge that has gone on since July 28, 2009 and ended December 31, 2009. Since this was a contest only owners could participate in, I would guess enrollment was mainly done via email or owner website outreach to get people interested in the prizing. 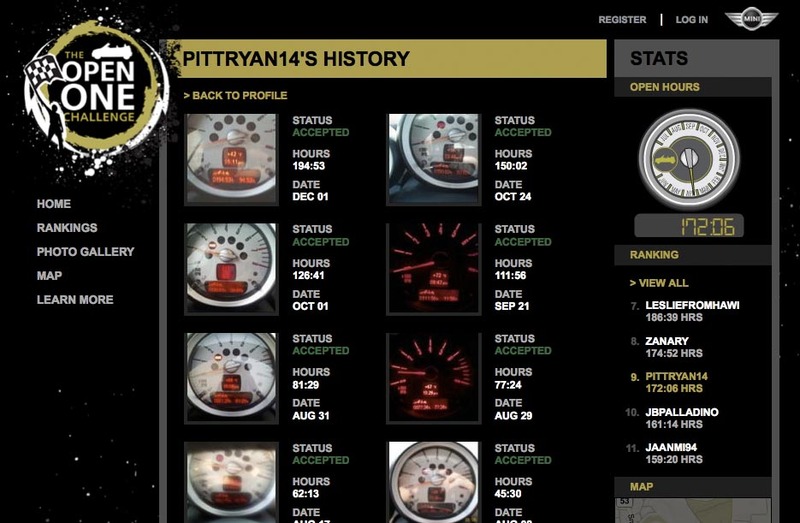 There was a minor appeal to get non-owners involved where people could create their own photo gallery to post their own “Open Road adventures with a camera.” The Mini press release says their were some 400 participants but from what I can tell only 115 actually logged hours against their top-down driving. The site is still up even after awarding the prize February 4, 2010; even the link is still live from the Mini USA website navigation. Content hasn’t been reworked to appeal to those who didn’t participate in the contest. Perhaps it will remain live as a site for a while. One wonders though what appeal the site has now that the contest is done? Unfortunately, the content isn’t very interesting to anyone except for those who played the game. 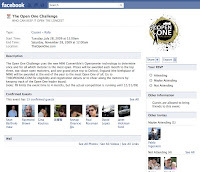 If you want to see several screenshots from TheOpenOne.com site please check out the Behance Network’s site.